Greetings good people of Lantana. Are you aware that there are Primary elections to be held August 14, 2012, as well as Presidential elections on November 6, 2012? Get ready for them now! Why? Because this year Floridian voters will likely witness significant developments in where, when, and how they can vote. The Florida Legislature passed new voter laws in 2011– Title IX, Ch. 97-107/Electors and Elections. View this statute at On-line Sunshine — where all laws and statutes passed by the Florida Legislature since 1997 may be found. *Are you a citizen who has registered to vote, but have not voted for a while and don’t know where your precinct is? *Are you registered to vote, but uncertain if your district may be re-districted and altered later this year? Florida has now completed its electoral re-districting and those districts have been pre-cleared by the U.S. Department of Justice. Maps can be viewed at FloridaRedistricting.org. Palm Beach County, as well as other South Florida county voting districts have changed significantly since 2010 — locally, state-wide, and congressionally. There are lots of new maps, but I found helpful “Maps and Block Equivalencies for New Congressional and Legislative Districts” — this is being provided to Supervisors of Elections across the state. I did this because my neighborhood in Lantana has now been re-districted for congressional and state-wide elections. Confirm for yourself your districts, and get a sense of how they have been re-drawn. (Napoleon supposedly claimed that geography was destiny, but he may have not have been able to foresee that modern election maps can and do change from time to time). My district is likely to have different candidates to vote for in all the races than in 2010. The Town of Lantana also maintains a local municipal elections page, as Lantana has five elected officials — see www.lantana.org. *Are you a U.S. citizen unsure of how to register to vote in Palm Beach County? Register directly with the Palm Beach County Supervisor of Elections or register with the help of one of the State of Florida’s registered third party voter registration organizations. The State of Florida’s list of these third party organizations is available on the State of Florida Department of State Division of Elections website. *Are you a citizen wanting to change your address, name, or party affiliation in Palm Beach County? You can do all of these, but only in advance; see the Palm Beach County Supervisor of Elections Voter F.A.Q. page. *Are you registered to vote in Palm Beach County, but are wondering if your name may be on a purge list? Contact the County Supervisor for more information. Voters who had been identified as ineligible by the State are supposed to receive advance notification and be given the opportunity to produce proof of eligibility to Supervisors. In addition, I was able to find out if my absentee ballot status and also the location of my precinct where I can go to vote. *Are you registered to vote, but prefer to vote early and are unsure when the early voting period ends? *Are you registered to vote by absentee ballot, but are unsure of your status? See again the Palm Beach County Supervisor of Elections website on Election Information or the State Division of Elections on Early Voting, as the early voting window has also been shortened in Florida with the new 2011 law. More updates and links will be provided as the elections near. Local newspapers will also publish election guides — be sure to watch for them. Note: All 67 County Supervisors of Elections in Florida suspended purge efforts. See the Palm Beach Post article of June 2, 2012, Voter Purge Gets pushback from elections supervisors, U.S. Justice. Note: Lawsuits filed against Florida and the Federal Government. See the Palm Beach Post article of June 11, 2012, Feds, Florida in Dueling Lawsuits over Voter Purge. Apparently the State has still been unable to access the Department of Homeland Security’s SAVE database while it continues to purge ineligible voters from its rolls, according to Sunshine State News on August 9, 2012: Florida Still Can’t Access DHS Citizenship Database. As an middle aged, uninsured woman, I’m always researching affordable health care resources available to me here locally. Apply for low-cost or free health coverage if you are a county resident. If going west on Lantana Road, turn right on Andrew Redding Road, at the Florida Highway Patrol Office/Dept. of Motor Vehicle Registrations. If going east, turn left onto Andrew Redding Road. A program of volunteer doctors who treat the uninsured. A free health clinic based in West Boynton Beach. A free health clinic on 2823 N. Australian Ave in West Palm Beach. Free health clinic in Jupiter at 412 Center Street, located immediately east of Beacon Baptist Church. Provides primary and dental care on a sliding fee scale. Family planning and prenatal care also available, as are testing and treatment of communicable diseases such as tuberculosis, sexually transmitted diseases, HIV/AIDs, hepatitis C. Clinics are located at various locations within Palm Beach County, including Belle Glade, Delray Beach, Jupiter, Lantana/Lake Worth, Pahokee, Riviera Beach and West Palm Beach. Provides primary care on a sliding fee scale. Centers are located throughout Palm Beach County and the Treasure Coast, including Ft. Pierce, Pahokee, Port St. Lucie. Provide primary care services on a sliding fee scale. Locations in Delray Beach and West Palm Beach below…. Hanley offers free substance abuse screening for adults and adolescents and a free program for children of addicts and alcoholics. (561) 841-1000 or 866-4HANLEY. Pparx.com, a partnership between doctors, pharmaceutical companies and other health care providers, patient advocacy organizations and community groups to help qualifying patients who lack prescription coverage get the medicines they need through the public or private program that’s right for them. Many will get them free or nearly free. 1-888-4PPA-NOW (1-888-477-2669). There are also low cost/free health insurance programs listed in the article. I’ll provide more information on some of these in another upcoming posting. Take a look also at Lantana Public Library’s Help in Hard Times web page! Breast Cancer Awareness month is October. Palm Beach County has a number of events this month and beyond to help fundraise, educate, and inform women about procedures, costs, and locations. Had you heard of a program for uninsured and lower income women to obtain free breast/mammogram screenings? My screening/mammogram is being made available through the Kathryn Krickstein Pressel MammoVan, which operates with Boca Raton Regional Hospital. Boca Raton Regional Hospital is a current recipient of grants awarded to non-profit health care agencies and service providers in our area via the County’s own chapter of the Susan G. Komen Foundation/For the Cure® . Komen Grants are available/renwable year after year. Click here for a longer list of health care agencies in our area that have received Komen grants. You can also phone 561-514-3020 x14 or email lisa@komensouthflorida.org for more information. 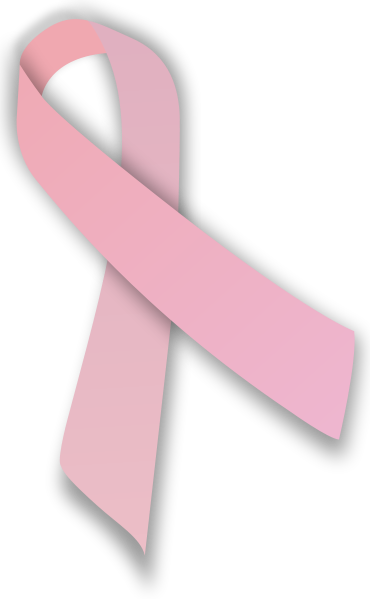 *The American breast cancer guide : a comprehensive resource directory. *The everything health guide to living with breast cancer : an accessible and comprehensive resource for women by Lucia Giuggio Carvalho.